Almost 2,5 million tons of extremely hazardous wastes are produced annually in Ukraine. Recovered and destructed ones do not exceed 10%. Out of the 280 specialized companies licensed to manage hazardous wastes, only about 230 ones have an office and bank account at their disposal. In fact, hazardous wastes are collected and stored only on paper. The county does not have any effective technologies and facilities for recycling or destruction of hazardous wastes. Nobody is interested in their construction, because nobody in the country is responsible for massive pollution of the environment and does not recover a substantial sum of money from pollutants. No one tracks the actual path of these hazardous wastes - from generation to a complete recovery or disposal thereof. Nonetheless, in the field of hazardous waste management there is a turnover of heaps of money - hundreds of millions of hryvnias. Firstly, this is money required to be paid (but not paid) to the budget by thousands of companies for the disposal of their hazardous wastes in case of absence of proper facilities for waste management or destruction. 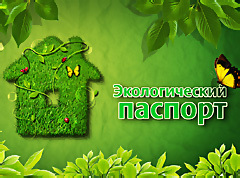 Not a small part of such payments settles on the accounts of artificially created pocket specialized enterprises with licenses issued by the Ministry of Environment and Natural Resources of Ukraine. Secondly, budget inflows aimed at solving artificially created problems of hazardous waste management. In practice, except for program development and paper recycling or disposal of hazardous waste, no actions are being taken. In both cases, public trough feeds officials of regulatory and executive bodies at all levels, as well as employees of the Emergency Control Ministry and Health Inspection Services, officials of the Ministry of Natural Resources, tax administration, procurator’s office and police. Indeed, upon condition of proper monitoring by any government agency, these millions could not have been plundered, and hazardous waste could not have been thrown away in ravines, forest plantations and lakes. Public Movement "For the right of citizens to environmental security"